I always find winter to be an interesting time on the sake calendar. As it begins to get uncomfortably cool, the craving for some gently warmed sake starts to set in. But although winter is obviously the best time of the year for warm sake, it’s also ironically possibly the best time for chilled sake. As we’re now into the thick of the sake brewing season which started around October for most breweries, we are now starting to see the fruits of their labor as the first pressings of the season hit the bars and stores. Usually unpasteurized, the fresh pressings (shiboritate, hatsu shibori) and shinshu (new sake) are bright, fresh, brash and zippy. Obviously as these sake have been produced in the last couple of months there has been minimal maturation time if any, which means the settled depth seen in Hiyaoroshi sake or sake released later in the year is mostly absent. Of course it’s not in the rule book that you can’t warm these types of sake up, however they are arguably best enjoyed chilled. Which leaves one with something of conundrum. Do I take advantage of the season and indulge in the bright new shiboritate offerings or go with the what the weather suggests and opt for a settled earthy style to warm my bones? The answer is “yes” to both. Who says you have to choose? This interesting juxtaposition actually provides us with a best of both worlds scenario. From what I’ve seen and heard, this year is shaping up as a pretty good year for sake. The rice quality was decent and most breweries I’ve spoken to got the amount and quality of rice they ordered (doesn’t always happen). If the quality of the fresh pressings is anything to go by, from the balanced and bright offering from Shichihonyari 七本槍 (Shiga), to the impeccably sleek and steely usunigori from Iwaki Kotobuki 磐城寿(Yamagata) to the rich, chunky soup-like plump of Michisakura’s 三千桜 nigori junmai (Gifu), there’s been a lot to be happy about. While it’s easy at this time of year to throw a rock and hit some good quality fresh sake, the old chestnut of what sake should be drunk warm is a little trickier. But it doesn’t need to be. 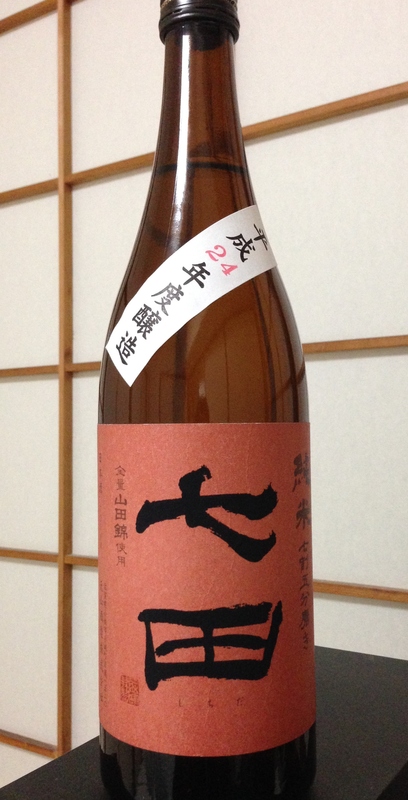 Sake with overt fruity or floral aromatics will usually wind up in the fridge. Sake with little or almost no aroma or dominant aromas of rice or mushroom-like earthiness will find themselves up for consideration for warming. There are always exceptions but this basic rule has served me well. Other specs that may suggest warming are lower milling rates (seimaibuai), old school brewing methods such as yamahai and kimoto and aged sake. Sake with low milling rates especially under 70% tend to be fuller, a little higher in acidity and obviously have more rice character. Again yamahai and kimoto also tend to have some of that acidity that lends itself to warming as well as earthier aromas sometimes bordering on downright funky. Tenzan Shuzo in Saga prefecture on the island of Kyushu have made a popular name for themselves thanks to their Shichida 七田 range named after the brewing family. 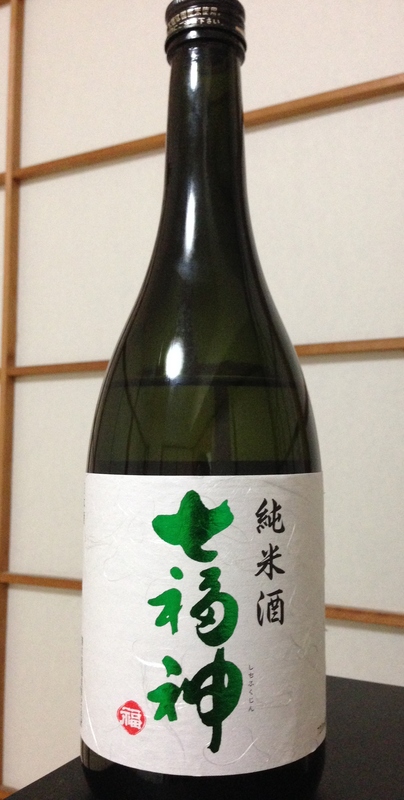 In particular, one of their standout sake for me has always been their Junmai 75. Made with Yamadanishiki rice milled to 75% and of course using their highly regarded medium-hard water sourced from the Gion River, this sake was the brainchild of current Kuramoto Kensuke Shichida after he found that earning a gold medal at the National New Sake Awards (Zenkoku Shinshu Kanpyoukai), essentially a daiginjo competition, wasn’t enough to pick up sales of the family brew. He reasoned that if the quality of rice was good enough, even with a lower milling rate good sake could be produced without off-flavors or harshness often associated with such practices, and as a bonus would be a more cost effective way of brewing. After less than successful initial trials Shichida-san hit on the idea of maturing the sake for an extended period of two years before pasteurizing and found that time smoothed out the edges revealing a rounder, umami laden profile. Although this sake works fine chilled and at room temperature it comes alive warmed. Aromas of caramel, creamed banana and a hint of mushroom lead into a full, robust mouth-feel with a pleasant acidic tang. Another (among many) standout sake for the season has been the ever reliable Shichifukujin 七福神 from Kiku no Tsukasa Shuzo. A quiet little brewery in Iwate, their junmai milled to 65% is the type of sake that begs to be warmed. A koji-rich aroma leads secondary notes of chestnut, cooked rice and the slightest hint of baked ham. Interestingly, to try this sake chilled it feels awkward and chewy but it all falls into place at about 45°. The koji driven banana and chestnut flavors come forward more pronounced while the mild acidity supports an almost creamy texture. It’s hard to go wrong with sake at this time of the year, so as 2014 comes to a close I hope you’ll bring in the new year with a glass of your favorite sake whether it’s chilled or warm. Looking forward to seeing what the rest of the brewing year brings….